The Türkiye-Africa Undergraduate Scholarship has been developed with the purpose of supporting successful and idealistic students wishing to study at undergraduate level in Türkiye. Türkiye Scholarships will be allocated regionally. However, the number of scholarships granted to each country will not be decreased below the number of scholarships allocated in the years before, provided that candidates meet successful criteria. Those who have graduated or are likely to graduate from secondary school. Students who are currently studying at a University or a vocational college in Türkiye cannot apply for the scholarship. Those who have at least 60% points from one of the academic criteria specified below. The selection of candidates is carried out according to academic achievement and interview performance. 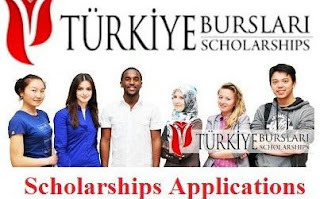 Türkiye Scholarships is a program based on academic success of the candidates. Algeria, Angola, Benin, Botswana, Burkina Faso, Burundi, Cameroon, Cape Verde Central Africa, Chad, Congo, Democratic Republic of Congo, Djibouti, Egypt, Equatorial Guinea, Eritrea, Ethiopia, Gabon, Gambia, Guinea, Guinea Bissau, Ghana, Ivory Coast, Kenya, Libya, Lesotho, Liberia, Madagascar, Malawi, Mali, Mauritius, Mauritania, Morocco, Mozambique, Namibia, Niger, Nigeria, Rwanda, Senegal, Seychelles, Sierra Leona, Sudan, South Sudan, Swaziland, Tanzania, Togo, Tunisia, Uganda, Zambia, Zimbabwe, Democratic Republic of São Tomé and Príncipe, South Africa and Union of Comoros. All accredited institutions of higher learning in Turkey. In total, 103 of 176 universities are state universities, the rest of them (73) are private ones. For a detailed list of departments, universities and frequently asked questions please visit: www.trscholarships.org. Usually, each university accepts international students on the basis of their own requirements that are published on their official websites. The applicants who want to study in any undergraduate programs should make an application directly to the university. However, for the Türkiye-Africa Undergraduate Scholarship, method of application is below. Throughout duration of the program. This is a FULL scholarship, successful students do not pay any tuition or university fee for education. Please see below for more benefits. The Türkiye Scholarships provide the students studying in Türkiye with wide opportunities. With the scholarship granted to you, you can matriculate at a University and utilize the health services of that University without making any payment. In addition, a specific amount of scholarship fee is put into your bank account every month. This amount will be enough to continue your education and enjoy the social facilities in Türkiye freely. Meanwhile, you are provided with housing opportunities as well. Moreover, this scholarship covers the Turkish language education provided for you before starting your University program and your round trip flight ticket from your country to Türkiye. Undergraduate Students are provided with appr. 250 USD per month (2014 value). Application can only be made on-line via official websites (link to it is below). You can apply online via the web addresses www.turkiyeburslari.gov.tr / www.trscholarships.org / www.turkiyeburslari.org OR through the Embassy of the Republic of Türkiye in your country. Candidates intending to apply via the addresses above can easily complete their applications through uploading the required documents onto the electronic system on those website. Candidates intending to apply through the Representative Offices of the Republic of Türkiye or via mail can complete their application through submitting the required documents to the relevant representative offices until the end of the day of deadline related to application-making period. All Türkiye Scholarship applications usually begin in spring. Undergraduate Applications for 2014 Türkiye Scholarships has since started, and the deadline for submission of ALL applications is before the 19th of May 2014. For contact details of Turkish Embassies/Consulates in your country, visit here.